I previously wrote about the legitimacy (or lack thereof) of green coffee bean extract and raspberry ketones for weight loss. Doing so made me curious about the other heavy hitter in weight loss supplements: Garcinia Cambogia. After reading through 20 or so papers I’ve decided it has a narrow but legitimate use for overweight people on a high-carb diet that have difficulty making other lifestyle interventions to curb their excessive weight. And by overweight I mean legitimately overweight, not just someone who’s unhappy with their figure or looking to lose a little bit of tummy fat. For everyone else it’s not worth buying. 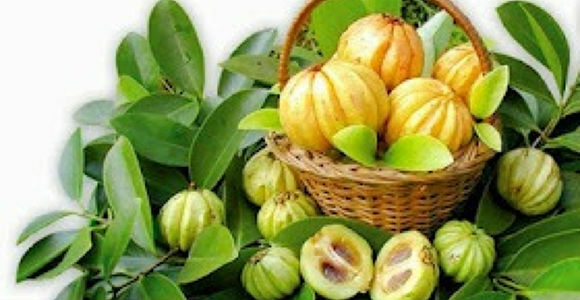 Garcinia Cambogia is a fruit that grows in parts of India, Australia/New Zealand, Indonesia, and parts of Africa. In those parts of the world it’s frequently used in curries, but in the U S of A it’s all about zapping off the fat. It got this reputation because it contains large amounts of a compound called (-)hydroxycitric acid, which blocks an enzyme called citrate lyase. Citrate lyase catalyzes a reaction in your body that turns citrate into something called Acetyl CoA. Your body uses Acetyl CoA to make fat. So the thinking goes that taking Garcinia Cambogia will turn off one of your body’s fat burning switches and help it start shedding pounds. Under certain circumstances this is true, but this fact alone says nothing about metabolic stasis, and how your body’s different feedback loops respond to compensate for changes in one compound or another. In studies done on rats there are a few well written papers suggesting that it helps prevent fat accumulation. In clinical studies on humans there is no conclusive evidence it helps people lose weight. Results are conflicting, to say the least. Due to its mechanism of action, it’ll only have an effect on people with high carb diets. It probably won’t have much of an effect for people with moderate levels of fitness, and more effective weight loss interventions will negate its usefulness. The biggest problem with Garcinia Cambogia (and many other supplements like it) is also the reason people have optimism about it: its effect on your body can be traced to a particular reaction or event. However the trouble lies in the fact that most nutrients exert their health benefits by working with other compounds to out-compete other molecules for your body’s ATP, gene expression, and other substrates for biochemical activity. So when you’re at an extreme end of a particular health outcome you can squeeze some juice out of supplements that affect a particular reaction in your body because certain metabolic controls are waaaay out of whack. But when your body begins to regain its ability to shift into other states of physiological equilibria the physiological reaction the supplement works on takes place much less frequently and/or in a different chemical environment and its effect can become trivial. So in the case of Garcinia Cambogia, blocking the formation of Acetyl CoA from carbohydrate intake might temporarily inhibit fat accumulation from within the body. But your body has many roads to making Acetyl CoA and without any other changes in your diet to shift its metabolic set points for fat storage and energy expenditure it can re-adjust to compensate and you’re back to square one. When taking a Garcinia Cambogia supplement, the biggest question is whether or not to go with the pure compound or a popular proprietary version of it called CitriMax. CitriMax is Garcinia Cambogia that’s wrapped up in a calcium/potassium salt, which supposedly helps its digestion. It’s always hard to tell whether or not these proprietary things are worth it or not, but in this case I’m inclined to think it wouldn’t hurt since there’s no price difference and it does seem to increase its rate of absorption. (The wording of that article seems unusually “industry-y”, but comes from legit sources). 1500-2000 mg/day is the dosage I see most often used in studies on humans and is probably a good goal to shoot for if you plan on taking it. My general opinion of Garcinia Cambogia is that it’s harmless, possibly useful for lazy overweight high carb dieters, but perfectly unnecessary for most people. Most of the companies who are buying up advertising space on Google searches about it look terrible. Someone looking to mimic the benefits of Garcinia Cambogia in a more enduring way would be much better off reducing the amount of sugar and simple carbohydrates in their diet. Yes, I agree on what you’ve said “perfectly unnecessary for most people”… I mean taking not only Garcinia Cambogia but all the supplememnts out there. The truth is, no matter what slimming or diet pill we take inorder to loose weight, it won’t actually work without proper diet and exercise. Anyway we have our option. Its really fantastic to be a part of discussing about Garcinia Cambogia. I also found it useful and anyone can get the help of this. It can be also better to take a guideline before taking it.